The climate shafts Prettau stand for relaxation for your airways. The respiration of pure, allergen-free air does the body good. 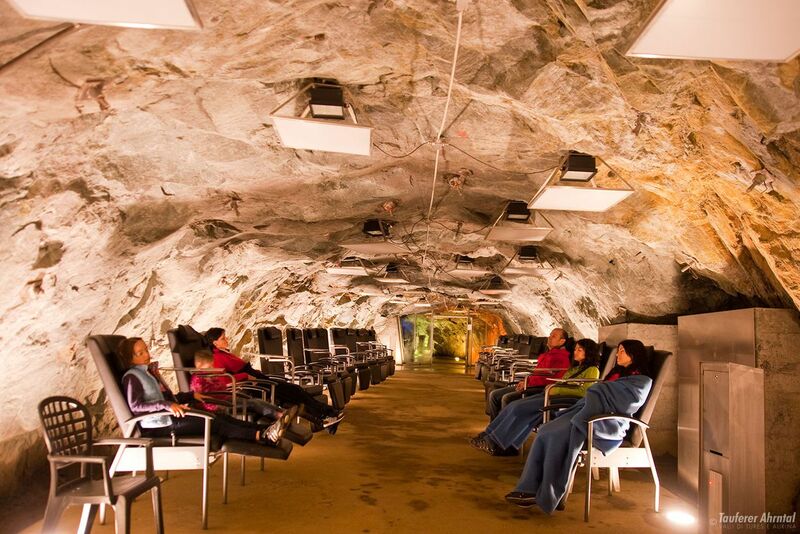 The special microclimate 1.100 meters inside the mountain offers ideal conditions to cure problems with the airways. The climate shafts Prettau stand for top numbers in terms of air quality and offer relaxation and the chance to breathe fresh air. Especially for asthma, allergies and hay fever patients the climate tunnel is recommended. Relaxation and relief go along here. It is best to see it yourself and book a trip to Prettau. The climate gallery is open from late March to early November, apart from August the climate shafts are closed on Monday. Note that you should subscribe in advance. The Ahrntal has something to offer for allergy sufferers: The climate gallery in the health village Prettau. Breathe deeply in and out and become healthier with every breath during your holiday in Ahrntal!